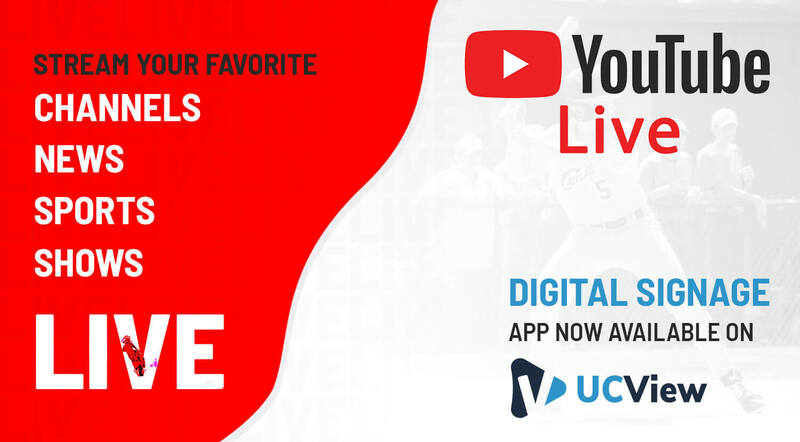 Youtube Live has made it to the UCView digital signage app store. Now you can stream your favorite youtube channels, news, sports, events live as part of your digital signage playlists. You can even send your signage playlists with youtube live to mobile devices so your audience has quick access to your content. Sign up for a free demo today to see how youtube Live works with UCView digital signage.